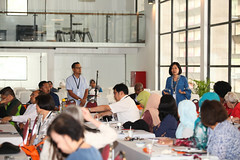 Client Services Division is responsible in providing effective services to meet the needs of users, fulfill users satisfaction and also provide current information to users. The services provided to users are library materials’ transactions (loan, return, renew, reserve), Interlibrary Loan and Document Delivery, Registration of library users (internal user and external user), Reference Desk Services as well as services for locating library materials which could not be found on the shelves but status are “available” in Pendeta Discovery. 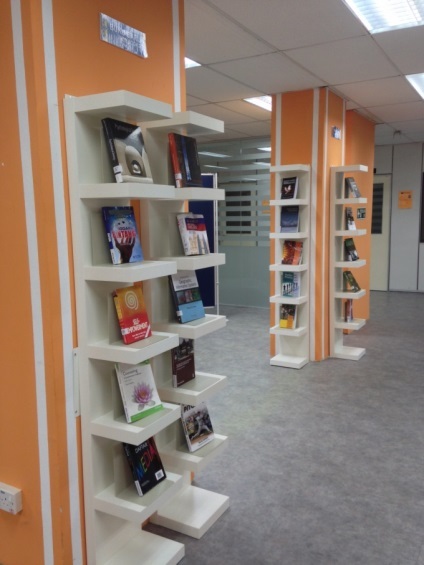 Let’s take a look at a few new services and facilities we have for our users on the Ground Floor. 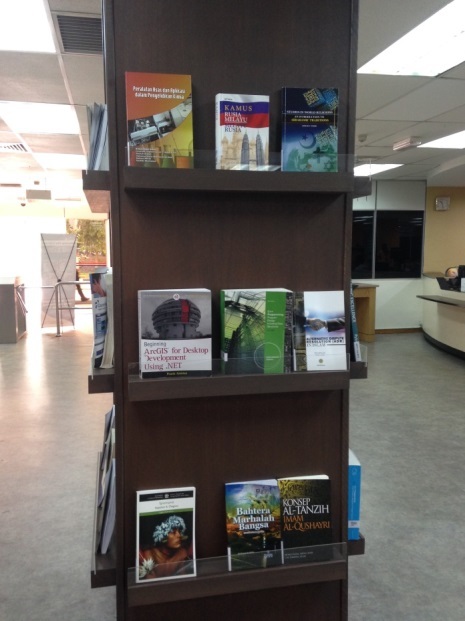 New books published in 2013 and 2014 are displayed on the Ground Floor, Central Library. 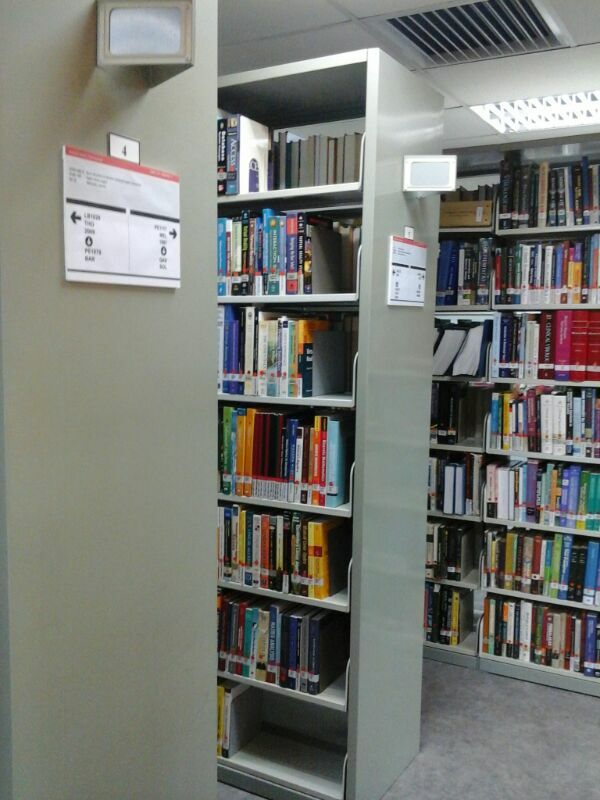 Students can browse the books and if they are interested, they can borrow the books straight away. This area is created especially for children and the furniture are designed for children. Children below 13 years old must at all times be accompanied by an adult. 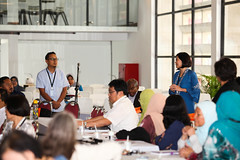 The adult can be their parents, relatives or friends whom the child is familiar with. The accompanying adult is solely responsible for the safety of the children under their care whilst they are here. 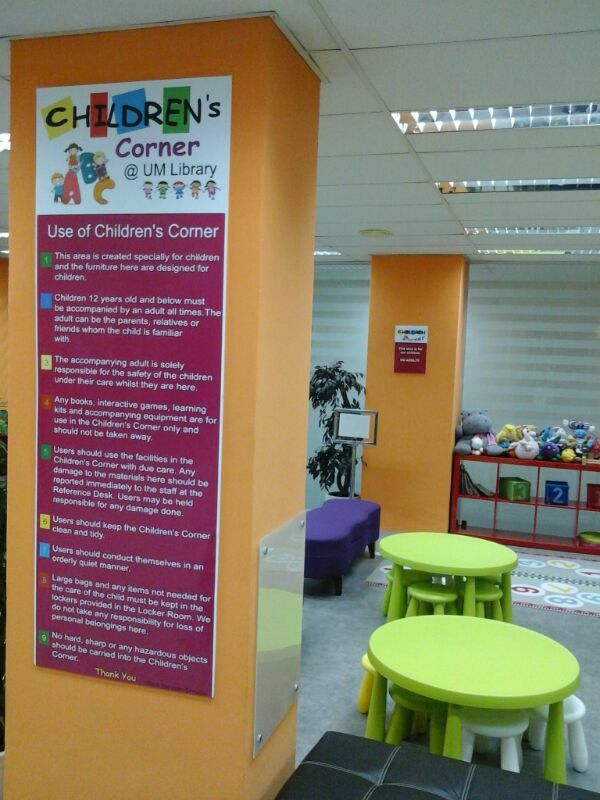 Any books, interactive games, learning kits and accompanying equipment are for use in the Children’s Corner only and should not be taken away. 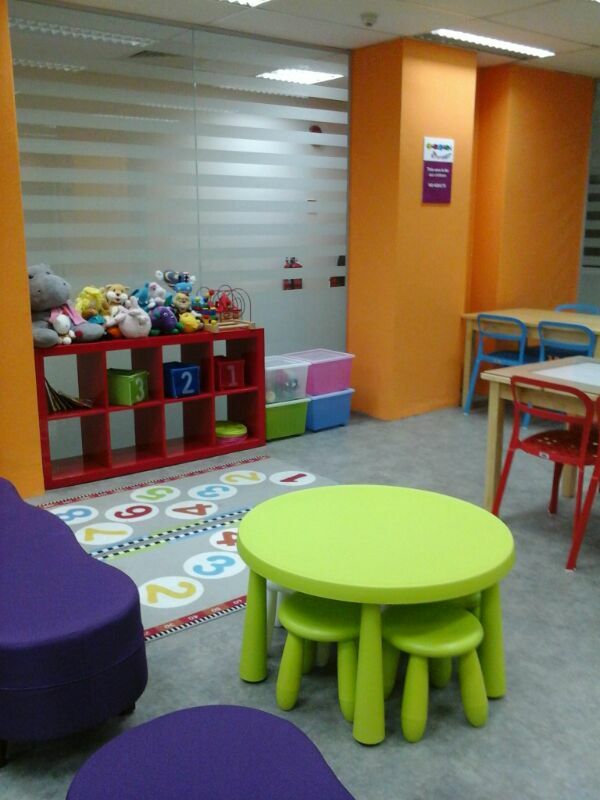 Users should use the facilities in the Children’s Corner with due care. Any damage to the materials here should be reported immediately to the staff at the Reference Desk. Users may be held responsible for any damage done. 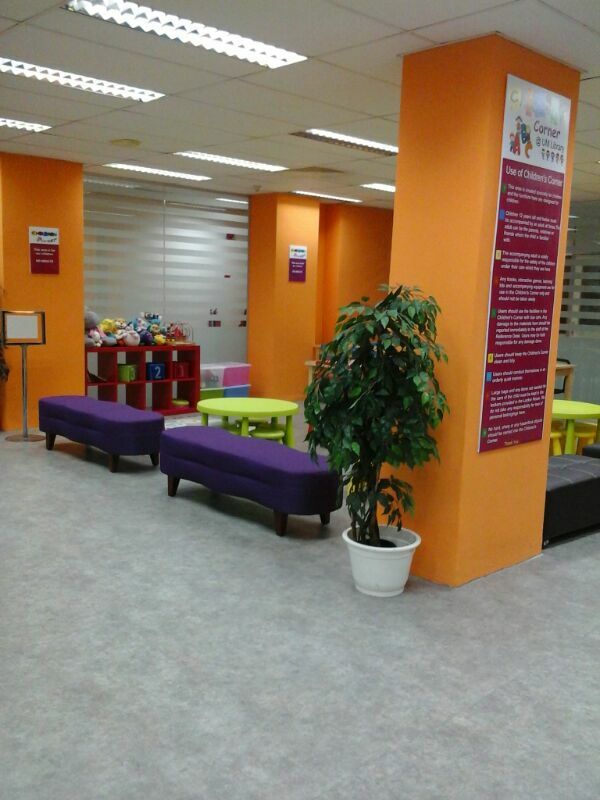 Users should keep the Children’s Corner clean and tidy. Users should conduct themselves in orderly and quiet manner. Large bags and any items not needed for the care of the child must be kept in the lockers provided in the Locker Room. We do not take any responsibility for loss of personal belongings here. Hard, sharp or any hazardous objects should not be brought into the Children’s Corner. 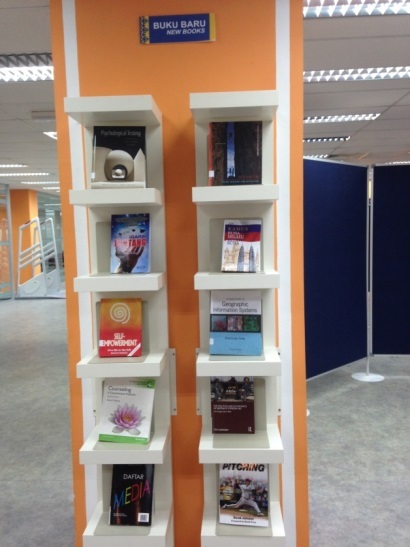 Academic Core Collection consists of text books, suggested by lecturers for their students. 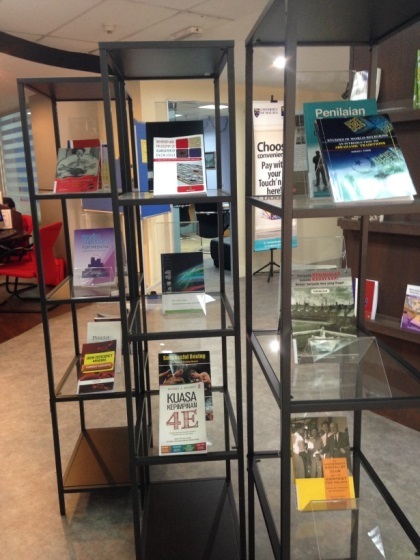 We have just set up a new loan policy for this collection. 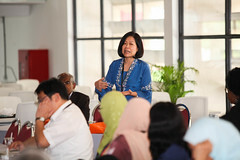 Users can borrow an item for 3 days and the overdue fine is RM0.50 per day. 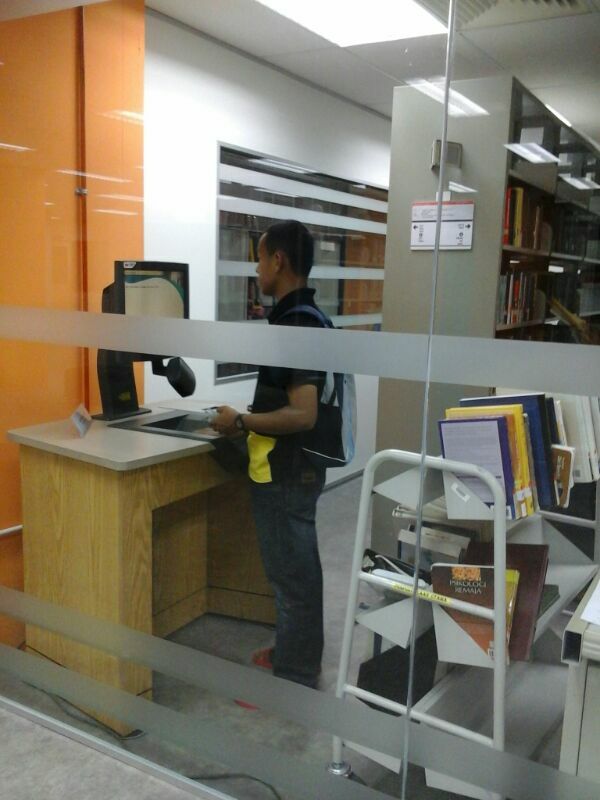 You can borrow books using self-check machine located at the Academic Core Collection section. Only one item is allowed per borrowing. As Head of Client Services Division, I oversee all services provided by the division to ensure all our users get the best services including assistance with library material’s transaction (loan, return, renew, reserve), Interlibrary Loan and Document Delivery, Library user’s Registration, Reference Desk Services and Services for locating unfound library materials.